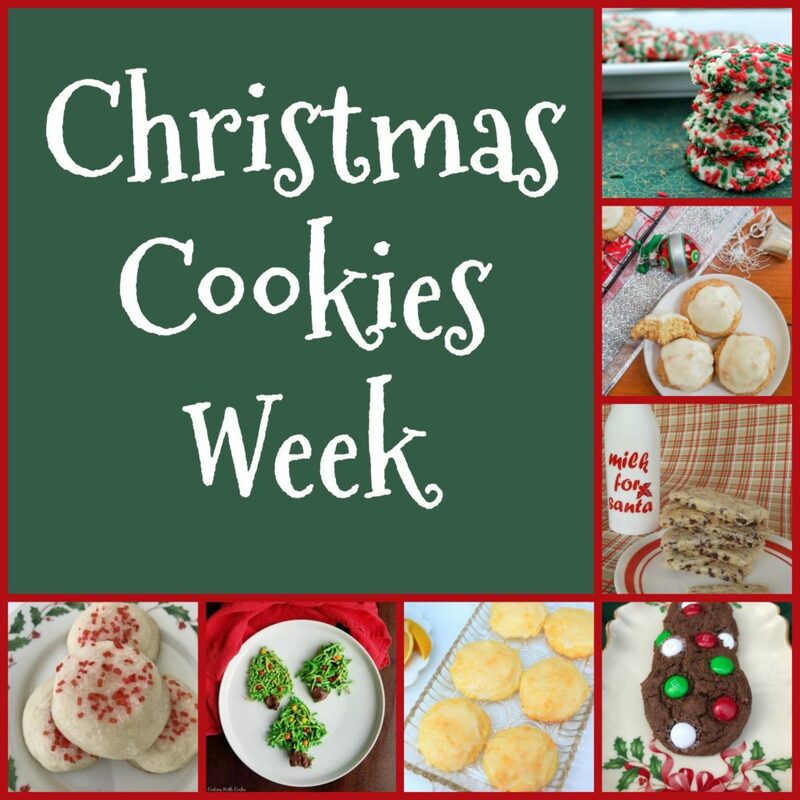 Welcome to Christmas Cookies Week! Today I am sharing these fun Loaded Festive Chocolate Chip Christmas Cookies to kick off the week. So what is Christmas Cookies week? A week full of awesome Christmas Cookie Recipes from some extremely talented bloggers who are ready to share the Holiday Cheer! I took a look at our line up this week and man, there are some cookies I cannot WAIT to try and then some twists on some classics that look perfect for our cookie table this year! 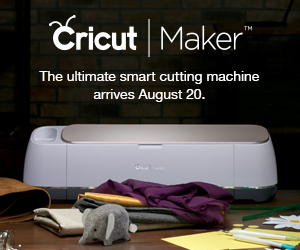 So join us in our week long event and there’s even a giveaway which you can enter down below! 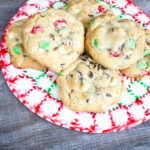 Today I have brought a fun Loaded Festive Chocolate Chip Christmas Cookie! 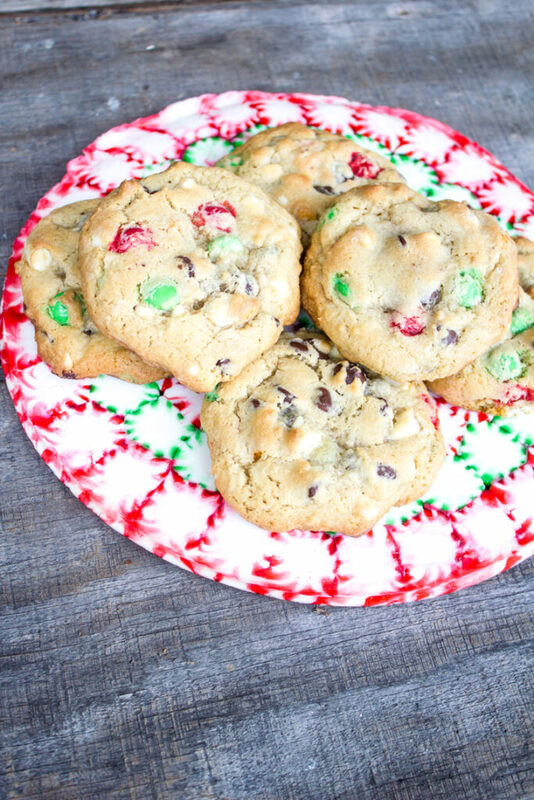 We love these cookies anytime, but when you set out to use red and green M&M’s you wind up with a really simple, yet very fun and festive Chocolate Chip Cookie that looks great on your holiday cookie table! It all starts with a big bowl full of all kinds of chippity goodness. 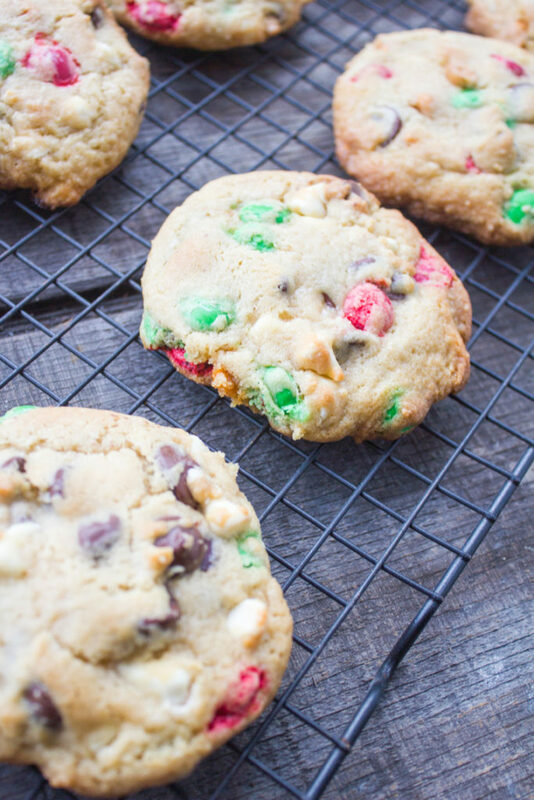 Regular Chocolate chips, Dark Chocolate Chips, Butterscotch Chips, White Chocolate Chips and of course the festive Red & Green M&M’s! If you’d like even more flavorful goodness, simply add some nuts of choice as well! A Loaded Festive Chocolate Chip Christmas Cookie goes great with a tall glass of cold milk or a warm mug of hot chocolate. Either way, you’re going to want to make these. I use a mini ice cream scoop to get the perfect size each time and allows the cookies to be all the same size and cook evenly. I loved how festive they already looked all scooped onto the parchment paper and ready to go in the oven. I started with this cookie because it looks the most like Christmas to me. Pop ’em right into the oven and bake for about 8-10 (sometimes need just a single minute longer but DO NOT OVERBAKE!) minutes. They come out looking ready to devour! Perfectly soft, moist and not a bit dry. So much flavor in each bite from the delicious additions. They are so soft and stay that way for a few days, although ours never last that long. 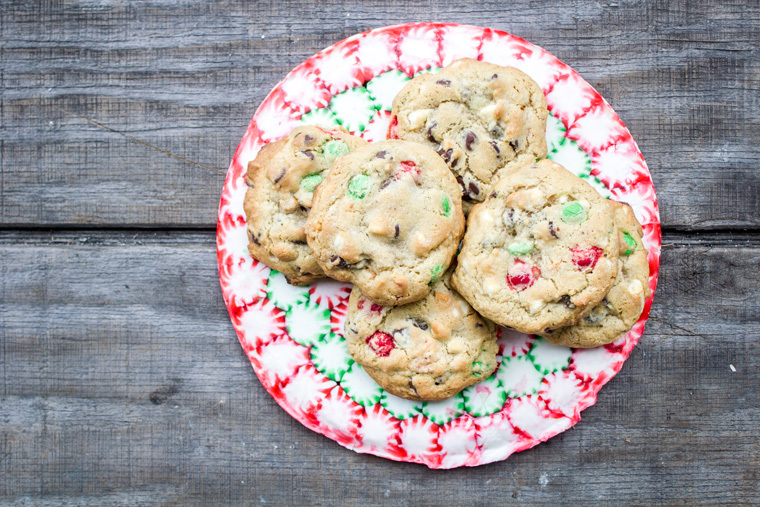 Who’s ready for some Loaded Festive Chocolate Chip Christmas Cookies? A soft cookie loaded with chippity goodness that not only tastes incredible, but also looks festive and fun on your holiday table! 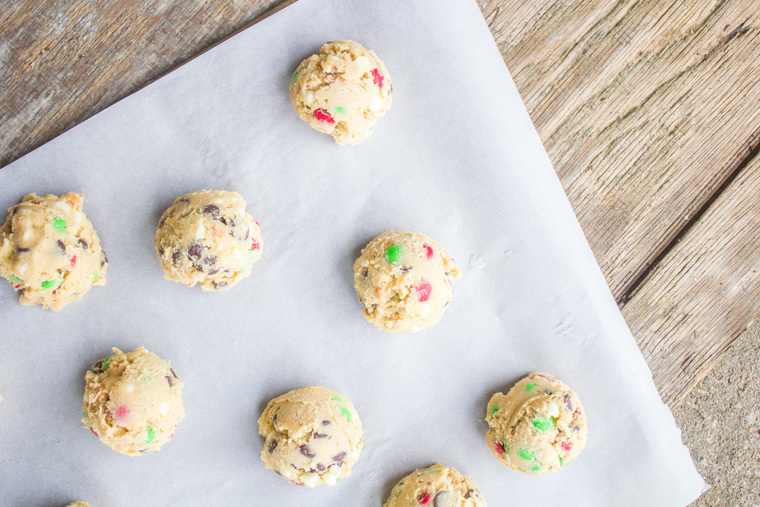 Who's ready for some Loaded Festive Chocolate Chip Christmas Cookies? A soft cookie loaded with chippity goodness that not only tastes incredible, but also looks festive and fun on your holiday table! Preheat oven to 350 degrees F. Melt your butter just until melted. In other words, don't over melt it, but make sure it's melted completely. In a large bowl, beat the butter, white and brown sugar until creamy and smooth. Add the vanilla extract. Beat again. Add the eggs, beat on low speed just until incorporated for about 15-20 seconds. Do not OVERBEAT! Sift in the flour, baking soda and the salt. Mix together until the mixture becomes kind of crumbly. Mold it all together into an actual dough. If it feels too wet, add a tablespoon or two of flour until you get it to the right consistency. You don't want it to actually stick to your hands but you don't want so much flour it dries the cookie out. Using your hands, gently mix in all the different chips and M&M's. 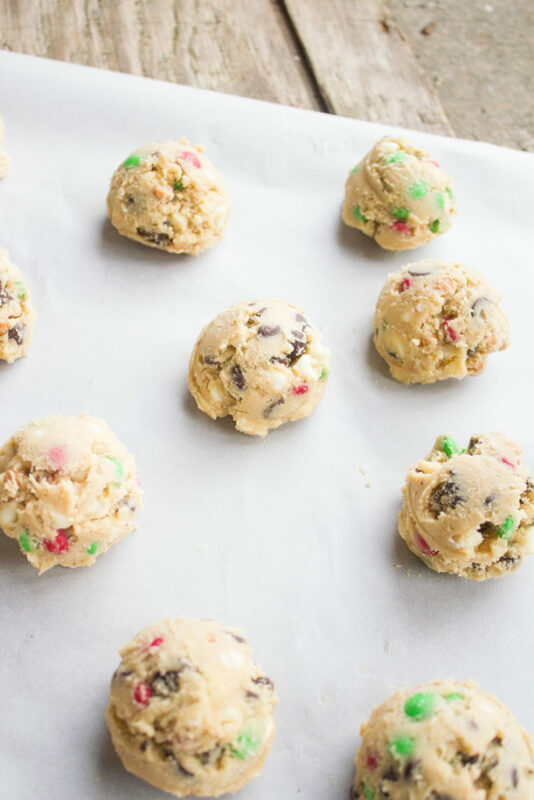 Use a mini or regular ice cream scoop and scoop the dough onto parchment lined cookie pans. Bake for 8-12 minutes until the cookies are all puffed up. 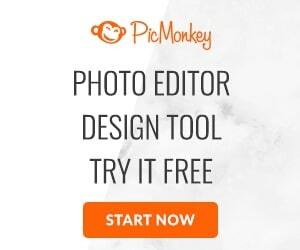 They should barely be getting any kind of color to them, meaning they will still be puffy and pale looking. Cool on cookie sheet for 30 minutes. Serve. 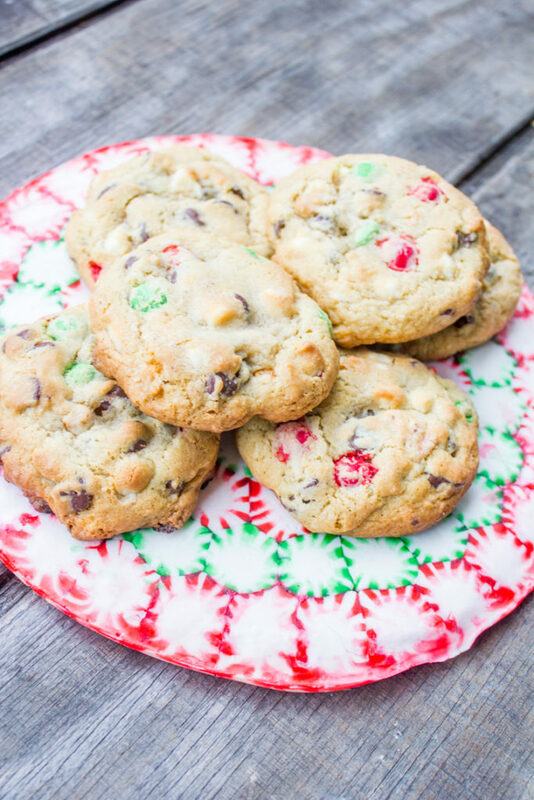 Don’t forget to check out the rest of today’s awesome Christmas cookie recipe lineup! Yummy! 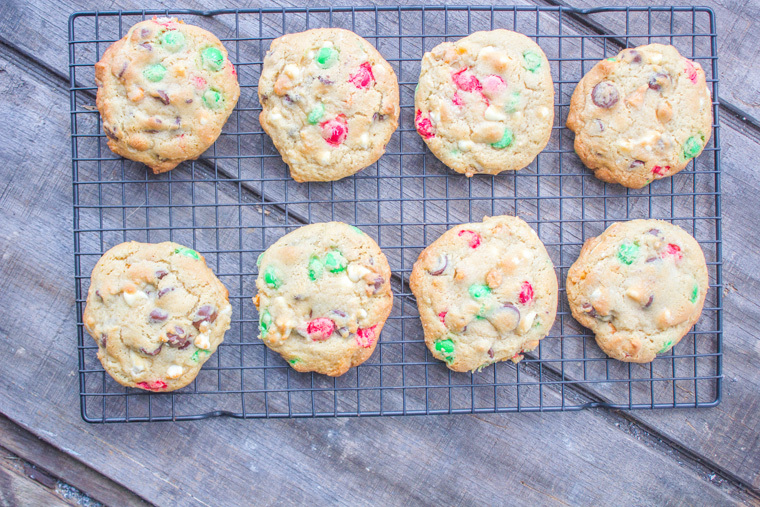 I love the combination of semi-sweet chocolate, dark chocolate, white chocolate, butterscotch and M&Ms in these cookies. 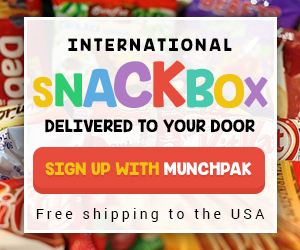 Oh my gosh, like candy bites with a bit of cookie!! <y kind of chocolate chip! It’s amazing what a little red and green will do this time of year. These are beautiful, and go so well with that plate!